This Page Resizes Best in Landscape Mode! Please consider turning your phone sideways for the best viewing experience. Humanitarian Software LLC is a premier provider of warehousing, logistics, and supply chain software solutions for non-profit organizations. The flexible array of offerings we have today are based on our 30 years of experience as a software development company. Our focus is on providing solutions for humanitarian aid, disaster relief, and other non-profit organizations in order to help benefit humanity. The core offering from Humanitarian Software is a modular, scalable, web based enterprise software solution – Humanitarian Enterprise Logistics Manager (HELM©). This logistics application, along with our suite of supporting products, provide a complete supply chain solution specifically designed for non-profit organizations. HELM is based on 30 years of experience and software development in the warehouse management and humanitarian aid distribution sectors. Primary application components include inventory control, gift in kind receipts, assignments and valuations, purchasing, order processing, kitting, picking, and shipping. Additional modules are available to enhance the core application with solutions for remote warehouses, partner portals, vehicle maintenance, online ordering, and more. Humanitarian Enterprise Logistics Manager (HELM© 2019) is a modular, scalable, web based enterprise software solution. The core of the system is an inventory module that is designed for both purchased and donated (gift in kind) inventory. Several additional modules can be enabled to expand the system to cover a variety of functions from barcoded warehousing, purchasing, receiving, order building, kit building, shipping, to reporting. HELM 2019 – Released in January, offers significant improvements in Receipt Assignment, Receipt Valuation, and Kit Building as well as enhanced hosting options through Oracle Cloud Services and Microsoft Azure. Portal Builder – Through a co-development and licensing arrangement, we are pleased to now offer new, robust web client portal development tools and hosting platforms. Humanitarian Software is a proud development partner with Orange Horse Technology. Control Panel – 2019 also bring a new release of our powerful configuration and administration tool for HELM. The Control Panel application offers the ability to make significant system design and configuration changes to HELM with an easy to use click, drag, and drop user interface. Humanitarian Software LLC is a provider of web based supply chain software solutions and website development tools. Our supply chain solutions are tailored for the humanitarian sector: NGO’s, humanitarian aid, and other related non-profits. Our offering of products has developed over a thirty year history of software development and implementation experience. In 2016 the fourth major evolution of this development emerged with the launch of HELM (Humanitarian Enterprise Logistics Manager) and Control Panel. HELM is our core supply chain/warehouse management solution. Control Panel is a website and customer portal building tool that can be used to customize HELM, or to extend functionality to build web portals and other solutions. Our flagship product, HELM, is a robust and very flexible, configurable, and customizable solution; designed for a variety of supply chain and warehouse management functions. It has a variety of optional modules which allow the installation to be configured and scaled easily to meet different needs. The core of HELM is a WMS (warehouse management system) featuring modules for inventory control, purchase orders, gift in kind, advance shipment notifications, gift valuation, order entry, picking, shipping, and history. Other optional modules include kit building, display pack handling, client management, RF (radio frequency) barcoding. HELM is a fully browser based application that can be either installed on your local server, or rented as a cloud based SaaS (software as a service) option. The front end web interface is primarily PHP based and developed with our Control Panel product. The back end runs on Apache webserver and the Oracle database. The application for HELM are vast because it has been designed from the ground up to be flexible and easily customized. Using the Control Panel tools, an administrator can add, remove, rename fields, tables, menus, data types, etc. Different user groups can have different menus and field access. The applications have multi-language support with English, French, and Spanish as the primary options, and the ability to generate many other language profiles. Historically, our flexible solutions attracted clients that had unique needs. The humanitarian aid/ gift in kind market sector certainly has a unique business model and set of needs. The substantial differences in the models used by these organizations and traditional WMS clients was the driving force to create HELM as a separate product line from it’s predecessor, iBEM. HELM addresses the unique needs of humanitarian aid organizations. From small foundations working in a local community to large NGO’s providing disaster relief world-wide, they all had a common thread – their business models did not fit well within traditional systems. Many aspects of non-profits are different. Receiving, valuing, and tracking donated goods, for example, is something that few traditional supply chain systems could address, until now. Other features built into HELM include the abilities to handle complex and regulated product tracking and shipping. Our knowledge and ability to address the unique needs of this very worthy group of clients, combined with experience with pharmaceuticals, medical supplies, disaster operations, international shipping, third world countries, etc. was the foundation that our solutions are based on today. A common thread in humanitarian aid and disaster relief is the logistical management of pharmaceutical products and medical supplies. The complexities of handling these products abound. This is why we have built HELM to handle the range of complex issues from FDA DSCSA (Drug Supply Chain Security Act) compliance, donor valuations and shipping and usage limitations and restrictions, international shipping considerations, state licensing rules, demanding donor reporting, and more. HELM is designed to handle the technical side of tracking product lot, serial, expiration dates and other parameters, as well as load drug information and product catalogues from the FDA and drug manufacturers. Inbound receipt vs donor ASN validations and quarantines along with outbound shipping transaction history conform to the FDA requirements. HELM builds a detailed and robust history of product movement from door to door not only to meet regulations and recall requirements, but also to provide a vast array of data to reporting back to donors. The powerful report creation tools integrated into HELM give the ability to easily create additional reports or exports beyond the hundreds of available base reports available. From the very beginning of our software development journey 30 years ago, a core requirement has always been to provide a flexible and scalable solution. Giving the administrator the ability to enable and disable functions and features, change data entry pages, data fields, menus, and much more has only grown stronger with every release. This gives the ability to adapt the application to your needs, rather than try and make your business match a software program. Our new HELM product, and additional ala carte applications (like EDI processing, RESTful API, Tracelink Interface, etc. ), the suite has grown to have over 30 modules to choose from. With the available choice of options it is becoming hard to categorize the product as simply an inventory or WMS solution. The functionality and features provide a solid supply chain management (SCM) solution. At the Enterprise level, our core backend runs on the Oracle database by default. We also have IBM DB2 as an available option. These databases are supported on Windows servers as well as in more substantial Unix and AS400 midrange platforms. As a new introduction, for smaller applications, we will soon be supporting a community version that utilizes MySQL. The continual commitment to providing flexible solutions took a huge leap forward in 2016 with the introduction of the Control Panel. 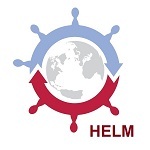 HELM is a website based application that is developed using the Control Panel. With a true “website” application HELM is now available in the cloud as a SaaS option. The Control Panel is a suite of website and data portal development tools for designing websites, web portals, and HELM web pages. This tool can be used to quickly develop a web page (the page you are reading was developed with the Control Panel), integrate customer and HELM data portals, as well as customize and configure HELM. The soon to be released version 2.0 (scheduled for January 2017) will have full integration with WordPress on the front end and with the secure Data Engine RESTful API on the backend. This means that you can have the most popular website CMS platform on the front end, and access to virtually any dataset on the backend (not just HELM). The Data Engine provides a RESTful interface to access data from most any data source that can be accessed from java JDBC connectivity. This makes not only building a custom data portal into HELM a breeze, but gives powerful web integration possibilities for any other legacy system you may have. Customer portals for customer order entry, ecommerce, inventory logistics and many other applications can now be easily generated. With a cloud hosting option, we can even handle hosting of your data portals. Connecting facilities and organizations for a variety of applications and purposes is the way of the future, and where the majority of our development is now focused.